Yesterday I enjoyed a longish, leisurely 14.5 mile run on a favourite route. I don’t often run it however as the group I usually connect are oriented to a different part of the city. 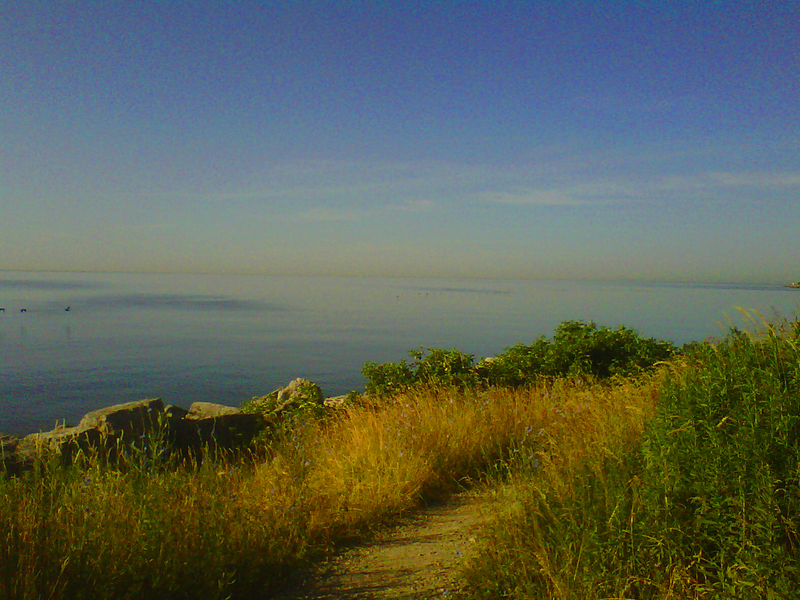 All the photos from my run were taken with my Blackberry. 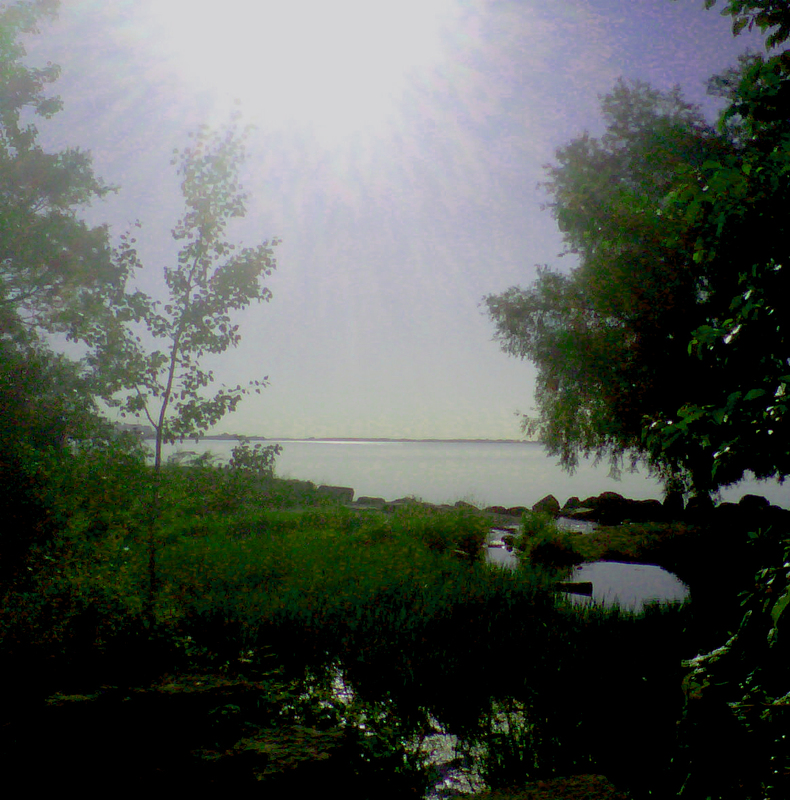 Running west along the lakeshore, past the Boulevard Club, Marilyn Bell Park, the Argonaut Rowing Club and along the Sunnyside beach boardwalk over the Palace Pier bridge and through what I refer to as the Humber river spit. When I get to this spit, I go clockwise once and then counter clockwise for a scenic two-mile section. On the southern shore there comes a point at which you cannot see a single building. I love that! 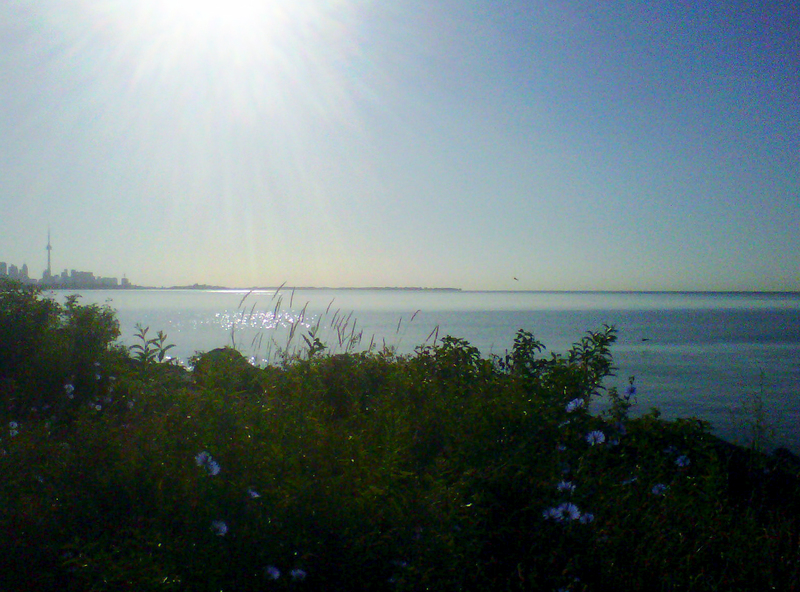 Regular enjoyment of the most scenic parts of urban Toronto is one of the pleasures of running. All the better when done in the early morning. The final five miles loop back through the Humber River butterfly garden and through the southeast corner of High Park. It always feels much easier than any route that goes north as it is fairly flat. While crossing the Humber River bridge at Palace Pier the image of marathoners crossing the Verrazano bridge during the NYC marathon flashed through my mind. I felt a surge of adrenalin. Yes, I am training for the NYC marathon. 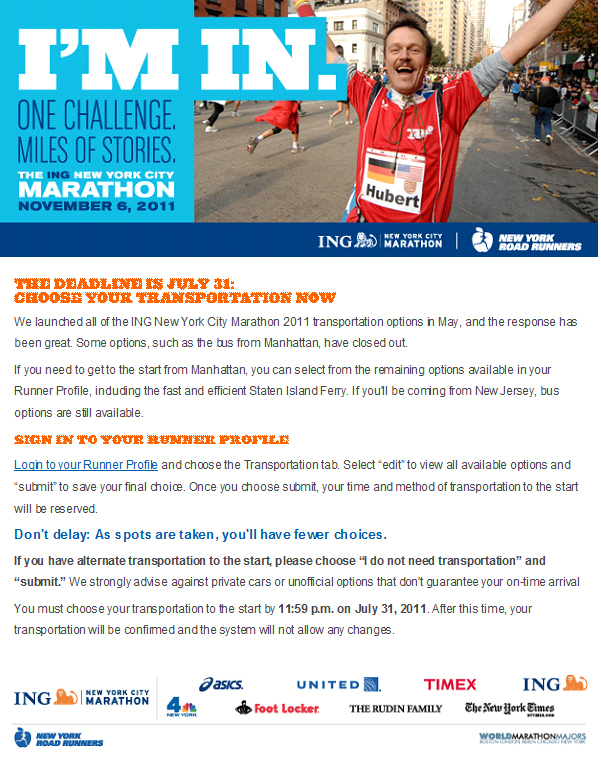 Later in the day I received an email from the NYC marathon telling me that the deadline for choosing transportation to the start line is July31st. Yikes . . . such is the way when you run the mother of mega-city-marathons and I’m already too late for the bus option which loads a block away from my hotel. 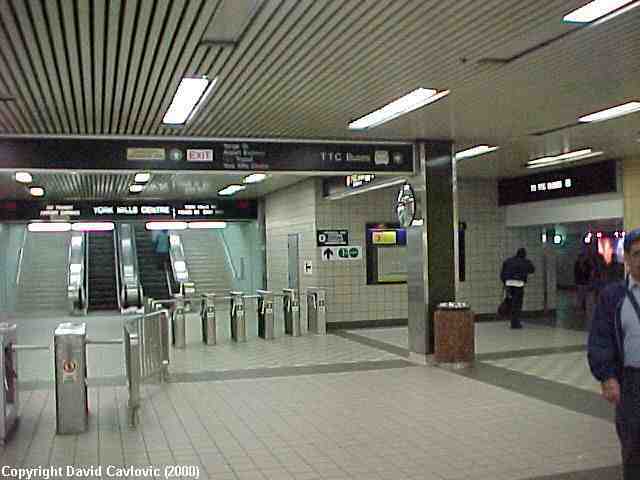 So I chose to travel to the start on the 6:15 a.m. Staten Island ferry, followed by a bus to the start. Marathon morning anxiety begins to kick in and I ask myself, though I feel confident I know the answer, is this marathon worth the logistical hassles? For past marathons and Around the Bay 30K I have printed out tiled route maps as part of my visualization process. I think its time to print out the large map of the NYC course to be hung in a prominent location. Yesterday I jotted down a 17 week training plan. The peak training weeks will be the last week of September and the first week of October. If all goes well, I hope to hit 80 miles or more for those weeks. A few years ago I would have aspired to place in the top three for my age category of 55-59 however, I’ve had a hard time keeping focused on intensifying my training lately and I think my goal will be to better my 3:42 time at the Sacramento Marathon. This time was run on a net downhill course and New York is not a fast course so, that in itself will be a challenge. But I’m feeling fitter with consistent mileage since our vacation and last week I started weight training again, and it feels fantastic. I’ve done upper body weights for most of the past 30 years and lower body weights for the past decade. My recent lapse of a couple of months from this routine was unusual. Partly to blame was a vague plan of replacing some of the weight work with plyometrics and circuit training, a plan which never took shape. I’ve done four sessions of the anatomical adaptation phase for weight training as described in my post: Weight Training, Love It or Lose It and I’m looking forward to the maximum strength phase when I get to bulk up a bit. The goal of the lower body weight training is to maximize the the musculoskeletal system in preparation for the heavy mileage that will come later on. While I won’t be trying to log the 100 mile weeks I once did, the time has come come to run, run, run as much as I can! Categories: Boston Marathon, Marathon, Masters Running, New York City Marathon, Running, Training, Weight Training | Tags: Boston Marathon, Marathon, Masters Running, New York City Marathon, postaday2011, Running, Toronto Running Routes, Weight Training | Permalink. I found my 9.5 mile run with speedwork, done yesterday, tough. My legs have been feeling quite heavy lately, which may well be the effects of the Maximum Strength (MS) phase of weightlifting that I am going through. I’ve done squats with 110 pounds on the Smith machine and 210 pounds on the leg press machine. My goal is to squat about 1.2 times my weight and leg press, 2.3 times my weight of 110 pounds. 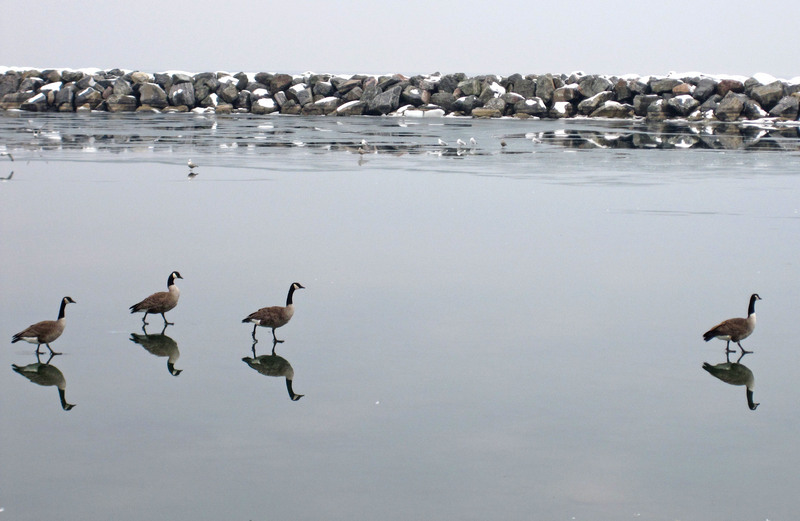 I stopped during the run to watch geese on Lake Ontario walk gingerly over the ice, which due to the very temperature was covered with a thin layer of water. There was quite a bit of slipping on the part of the geese, which led my husband to remark that Toronto geese are urban critters, who have lost some of their natural coordination. The day was full and with evening plans, a post about what is keeping both my husband and I very busy seemed appropriate. This being, People4Kids, a Gala to Benefit AIDS Orphans in Ethiopia. The idea to create this event came out of my experience with gala events, including the Grocery Foundation SuperGala at one time the biggest gala in Canada with over 4000 guests and over $3 million in funds raised. The Beach Boys (or what is left of the Beach Boys, post-law suits) and Nelly Furtado were the headliners during my years of involvement. Our gala is a baby Gala and a labour of love. We were motivated to get involved with People to People AID Organization Canada as one of my husband’s workmates, who came to Canada as a refugee from Ethiopia many years ago, works tirelessly as a Board member towards the sponsorship of greater numbers of orphans. In the evening we were off to attend a preview of the Auto Show as special guests, along with the 8,000 or more other special guests. This is an educated estimate as the SuperGala took place on one floor of the same venue and this crowd seemed at minimum, twice the size, using three times the area. What a spectacle! 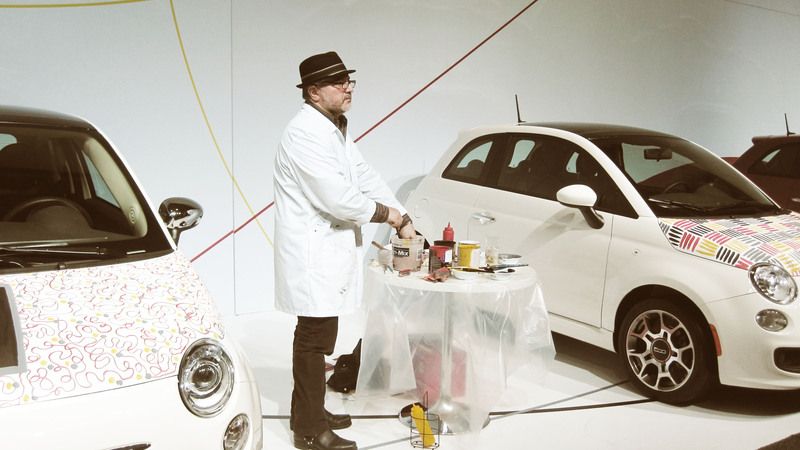 The show is not about the legions of women wearing the most sparkling of dresses and the highest of heels, it’s about the cars, cars and more cars. The evening involves a lot of walking so by the end of it, many women were seen in stockinged feet, carrying their shoes. One woman remarked to me, “You are doing well, you’ve still got your shoes on.” I consider wearing heels over two inches to be something of an athletic accomplishment. One of which I am not capable. If those men who admire the high-heeled “look” knew what it feels like to wear high heels, I think their appreciation would be greatly diminished. The event is sponsored by the Toronto Star. Throughout the Metro Toronto Convention Centre are drink and food stations. A few years ago some of the Japanese auto makers were serving sushi. The fare this year was fairly standard with one exception. 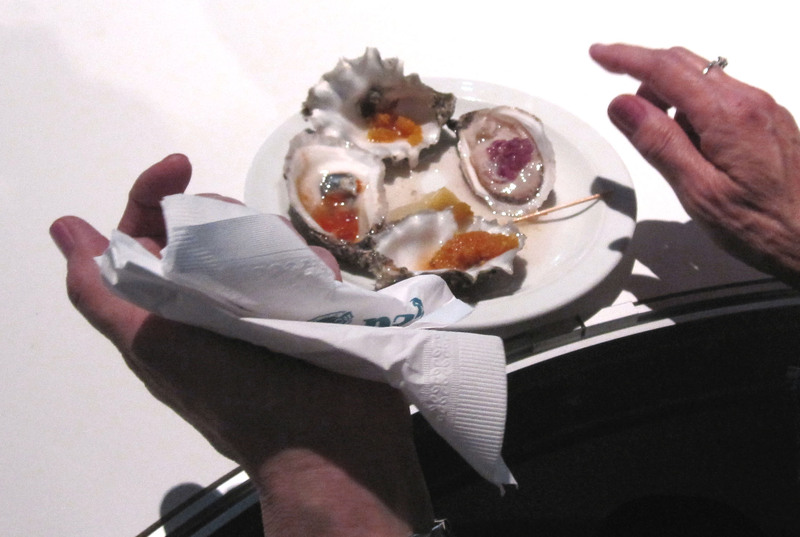 Tucked away in a quieter corner, Rodney’s Oyster House was serving four different types of oysters. My dad has always loved oysters and as kids we used to have them with shoyu (Japanese soy sauce). 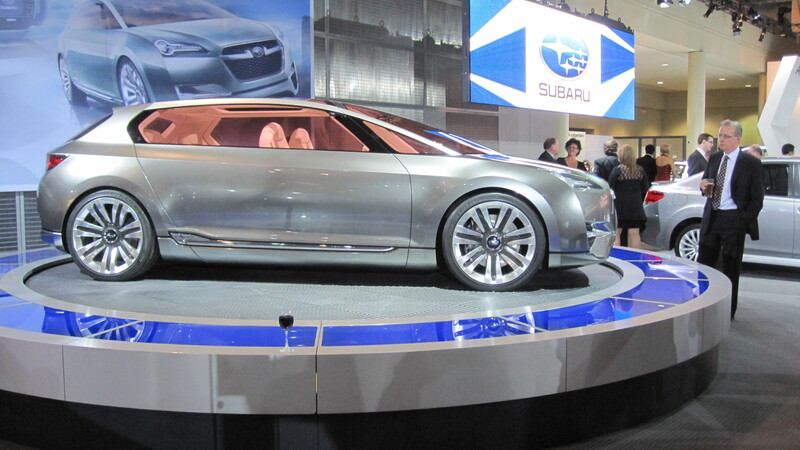 Signs are that automakers are feeling optimistic about business and have done a big paradigm shift, post-meltdown, adapting to the need and demand for high efficiency vehicles. There was an area highlighting cars earning national kudos for efficiency. 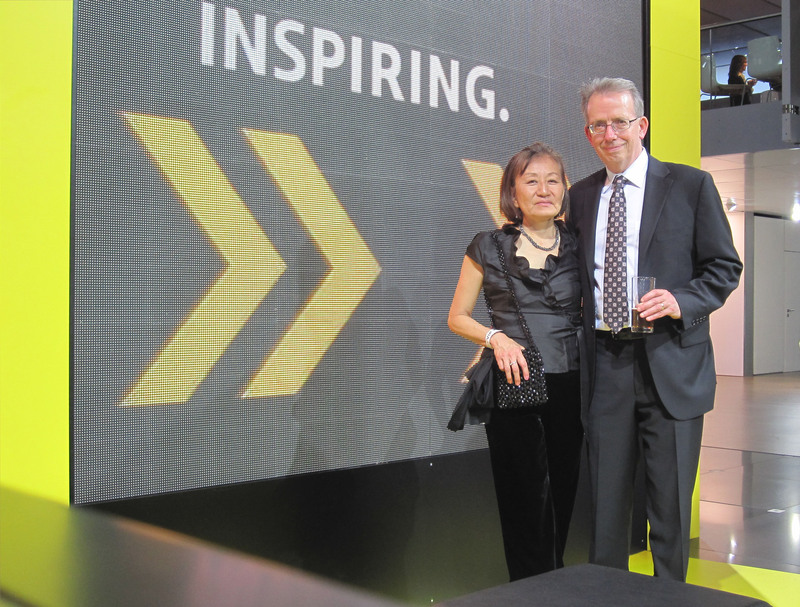 Here is a photo of us in front of a sign at the Mini-Cooper display. The screen behind us was flashing various words and I was hoping for the word SPORTY. However my eyes were closed for that one. But at the moment the word INSPIRING makes me think of my husband, who has pushed himself very far outside his comfort zone to ask a lot of people to support the Gala with tremendous results. Well done my love! Going the distance for the Gala! Categories: Community, Food, Fundraising, Weight Training | Tags: Community, Fundraising, postaday2011, SuperGala, Toronto Auto Show, Weight Training | Permalink. My husband and I were discussing what stages of weight training each of us is in. I am in the Maximum Transition (MT) phase and he is in the Maximum Strength (MS) phase. He asked a few questions about how many repetitions he should be doing and how many weeks. My answer; um, you could check my blog. Said he, “So now you won’t talk to me, I have to talk to the blog?”. I chortled but I think he was hoping for some sympathy. There is a certain convenience in having some of my thoughts about training collected and recorded. 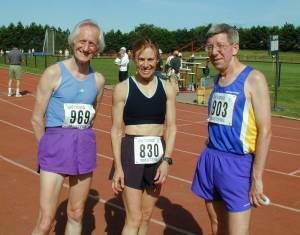 With 30 years of running experience, I get asked the same questions with some regularity. A recent question in response to my post on weight training was a recommendation for a current book on the subject that is easily available. I asked my weight training consultant, champion triathlete Beverley Coburn of Active Age Fitness for her thoughts. 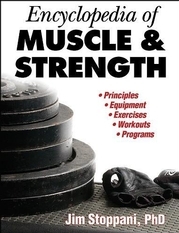 “Really like the book, Encyclopedia of Muscle & Strength by Jim Stoppani (Human Kinetics). This book has everything in it for building programs for beginners up to bodybuilders. I especially like the details. Stoppani describes the muscles and exercises for each muscle group i.e. shoulders with isolation and compound exercises for the front, rear and medial deltoids – great for developing muscle balance. 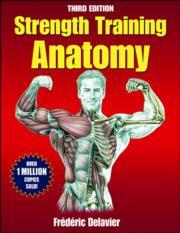 Another book that has great pics is Strength Training Anatomy by Frederic Delavier. Would someone you love, like to receive this as a Valentine’s gift? Categories: Blogging, Exercise, Fitness, Sports, Weight Training | Tags: Blogging, Exercise, Fitness, health, postaday2011, Training, Weight Training | Permalink. Following my post about weight training, a reader asked for recommended reading. I was reminded of this groundbreaking book from the early 80’s by Gayle Olinekova which inspired me to begin my weight training routine. Gayle was ahead of her time in that she incorporated weight training into her marathon training schedule. This former Torontonian ran world-class marathon times and yet felt a little embarrassed about her very muscular legs, which did not fit the typical marathon runner mold or the prevailing feminine ideal. Eventually, she was discovered by Sports Illustrated and covered in an article called The Greatest Legs to Ever Stride the Earth. Sadly, Gayle died in 2003 at the age of 50. Gayle’s book Go For It! was written at a time when books on athletics written by women were almost non-existent. It may be out-of-print but available used. I can claim a shared experience, as she was at one time a member of the Toronto Olympic Club which I belonged to for a few years. From wanting to hide her legs to inclusion in Helmut Newton’s “Strong Women: A Portfolio of California’s Super Athletes” Gayle can be given credit for blazing a trail. Here is part of an obituary from the Los Angeles Times. Gayle Olinekova, a marathon runner and fitness guru whose chiseled, muscular legs helped change cultural views about beauty in female athletes in the 1980s, has died. She was 50. Categories: Exercise, Fitness, Health, Role Models, Running, Training, Weight Training | Tags: Exercise, Fitness, Gayle Olinekova, health, Marathon, Running, Weight Training | Permalink. Categories: Exercise, Fitness, Health, Running, Training, Weight Training | Tags: Exercise, Fitness, health, postaday2011, Running, Weight Training | Permalink. Our flight to Edmonton was comfortable and passed quickly with a bit of napping and inroads made into The Sea Lady, the sixth or seventh Margaret Drabble book I’ve read which after 120 pages, seems well worthy of the praises sung on its covers. The long drive from the airport to the suburb of St. Albert was another story. The Edmonton area has been hit with record snowfalls lately, along with very low temperatures making for treacherous road conditions. Shortly after leaving the airport we saw several vehicles in ditches, including an overturned jeep. Along the way, we spotted numerous abandoned vehicles. Later we were told the likelihood of securing tow truck services during this spell of bad weather is very low. Tough going but an evening peppered with my father-in-law’s stories of prairie life on the farm, pre-depression certainly gave us an it-could-be-worse perspective. As is our habit while here, we had our coffee and then drove to the Servus Centre for a morning work-out. Upon arrival we noticed that it was the busiest we have seen it and discovered that it was the second day of The Continental Cup, a world-class curling tournament featuring competition between the best teams from North America and the best in the world. Um, well, I beg to differ. Sounds foolhardy and life threatening. Is this bravado the equivalent of curler’s “trash talk”? As my husband was about to hand over our entrance fee, I interjected excitedly, “Hey look, YOU are a senior!”. As the attendant reworked the total, he joked that he was disappointed that she did not ask him to show his I.D. Said I, “I don’t think that is the first time she’s heard that joke”. At this juncture my observation may not have been wholly appreciated. 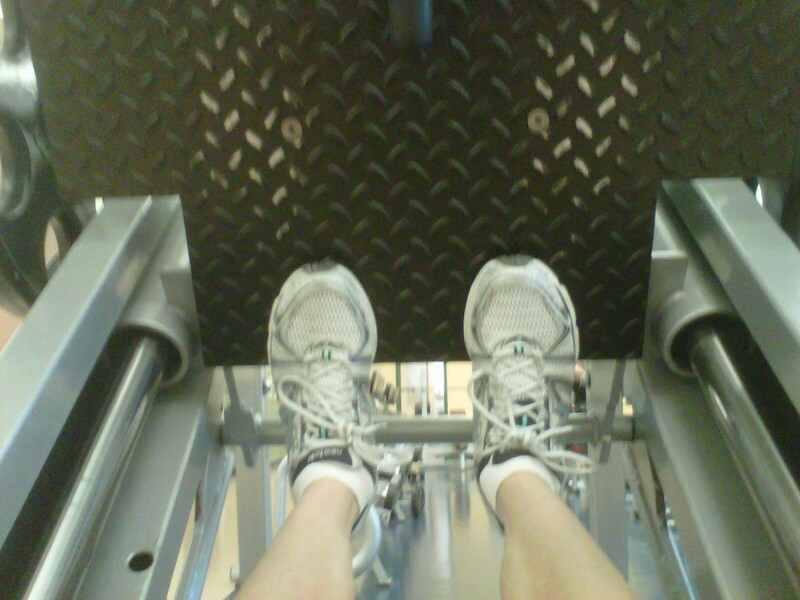 I ran six miles on the treadmill, did upper and lower body weights and was pleased to see that they had the sled style leg press machine. You should definitely have a trainer in your gym show you how to use this machine and if a novice, should start out with no weights. The lock and unlock feature on this machine varies a great deal so be careful if you are using a new machine. The demonstration below is a good one. I also do ankle raises on this machine by positioning the balls of my feet at the bottom of the machine and flexing the ankles up and down. You don’t unlock the machine for this as the range of movement does not require unlocking and to do so would put you in a vulnerable and dangerous position. Workout done, I stopped by Booster Juice for a Ginger Hammer, a mix of apple, carrot and ginger juice as an appetizer to a regular outing during our Edmonton visits, a trip to Ricky’s restaurant. 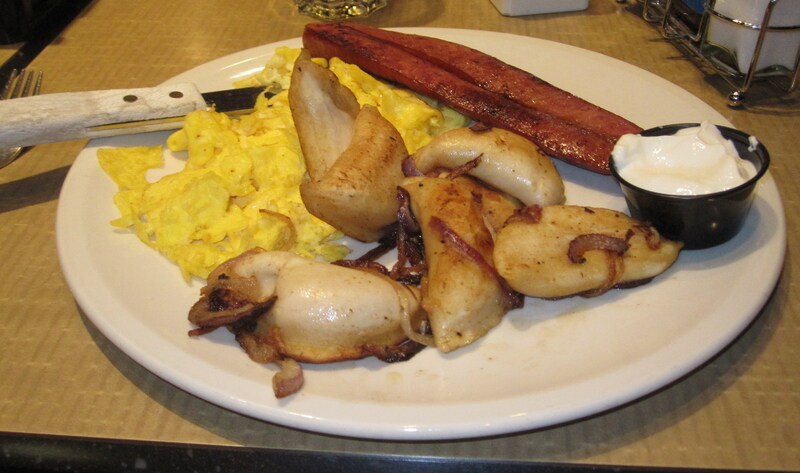 My usual choice is one of my indulgences, like my love of poutine, one of four Big Breakfast choices called the Perogy & Egg Platter which includes; 3 eggs, 7 perogies and Bavarian or Chorizo sausage and toast. With the 1 p.m. timing of our breakfast, I devoured this treat with gusto, save for two perogys and 1/2 an egg. Certainly, not the basis of a healthy lifestyle but a reasonable twice-a-year meal for an omnivorous runner with no family history of heart disease. 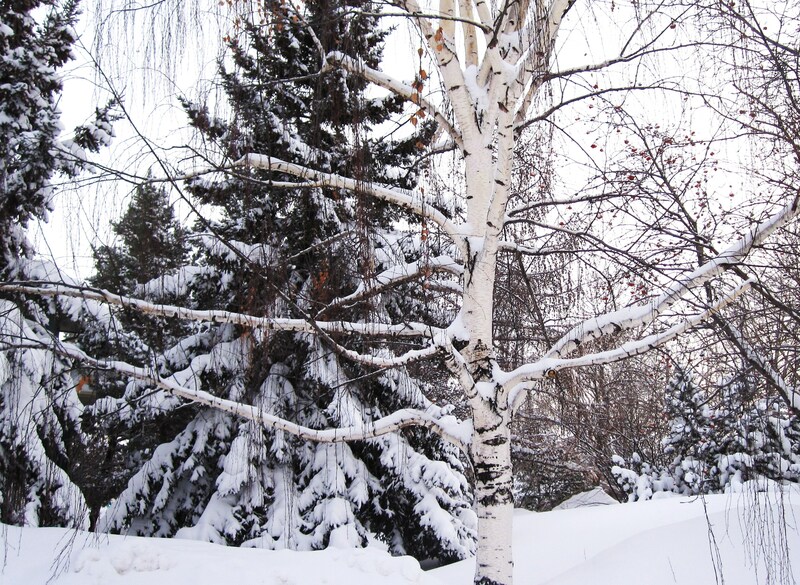 And there is something to be said for insulating layers of fat when living at minus 26 Celsius. Categories: Exercise, Fitness, Food, Running, Training, Treats, Weight Training | Tags: Booster Juice, Fitness, Food, postaday2011, Running, Treats, Weight Training | Permalink.